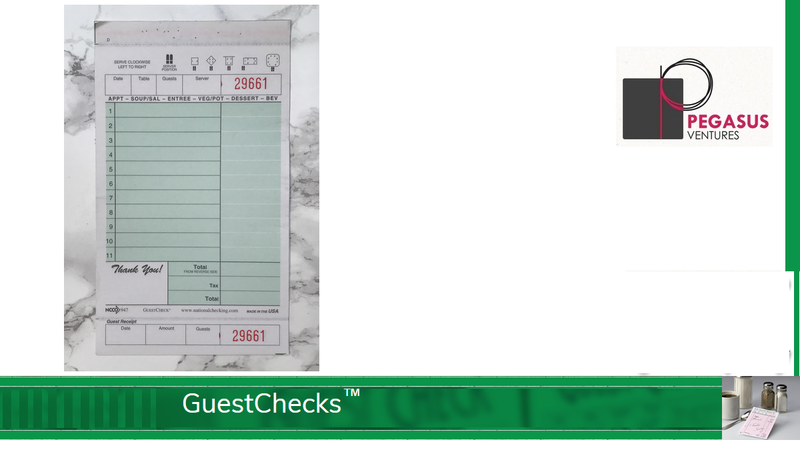 From National Checking Company the 947BNDSW Adams Guest Checks brand medium-wide two-part carbonless guest checks feature a paper top copy and duplicate cardboard copy. 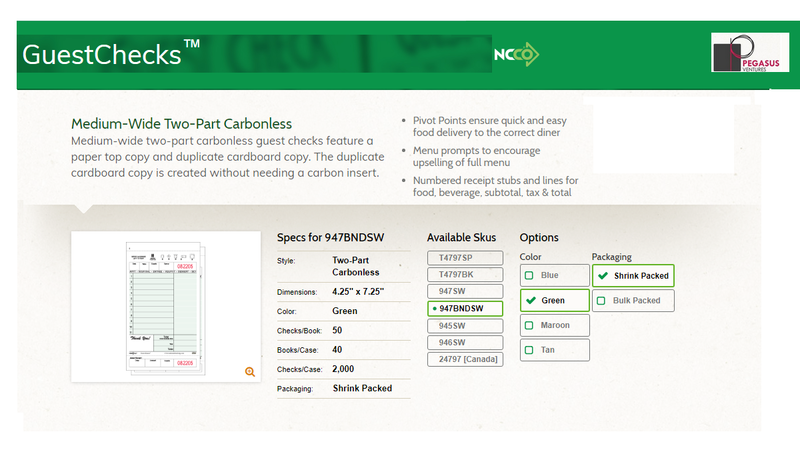 The duplicate cardboard copy is created without needing a carbon insert. 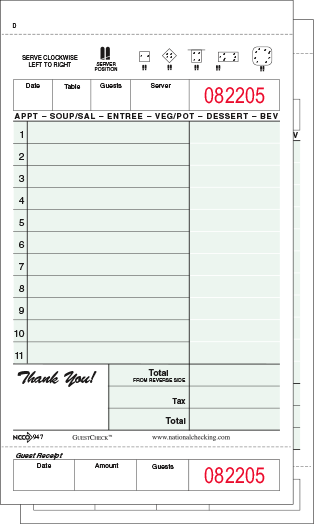 The 947BNDSW also features a reverse side lined for beverage orders. 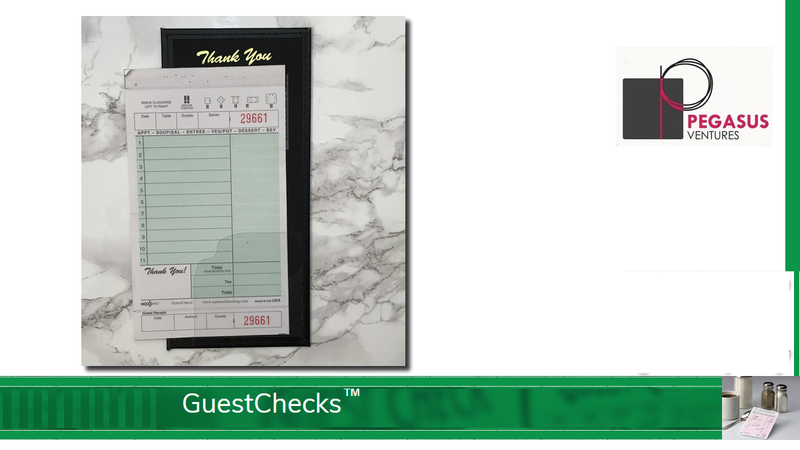 Featuring menu prompts to encourage upselling of your full menu as well as numbered receipt stubs and tax & total lines, the 947BNDSW from National Checking Company works great for most every restaurant. 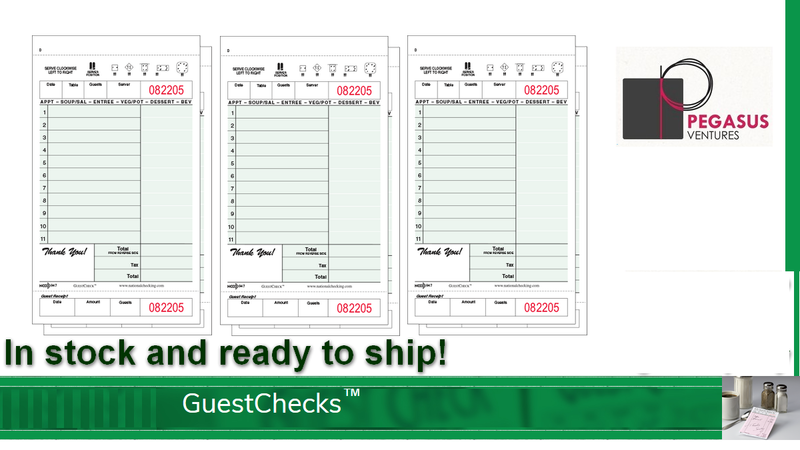 The 947BNDSW restaurant guest checks come shrink wrap packed in cases of 2,000 guest checks bound in books with 50 sets of guest checks in each book and 40 books in every case. 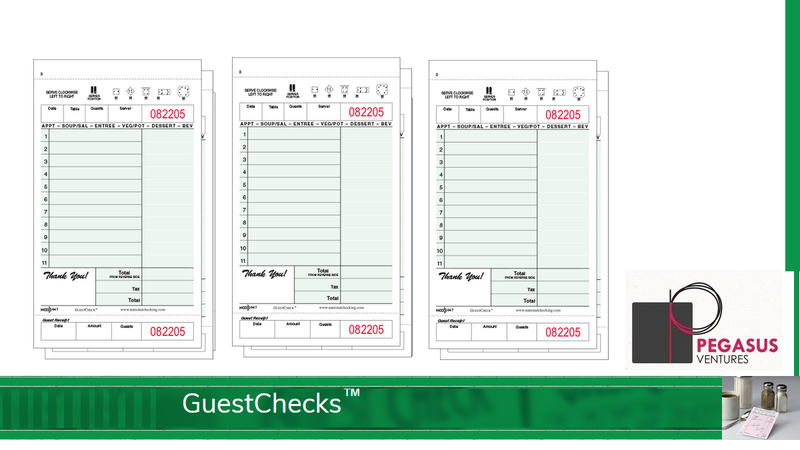 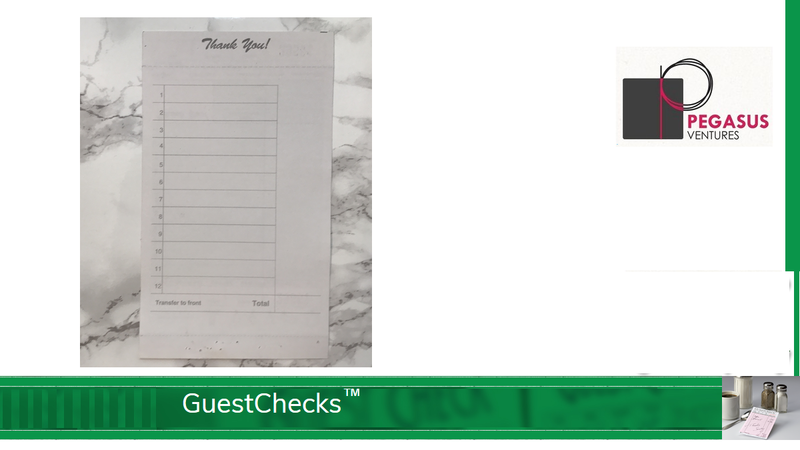 Need a guest check holder for the 947BNDSW National Checking Guest Checks? 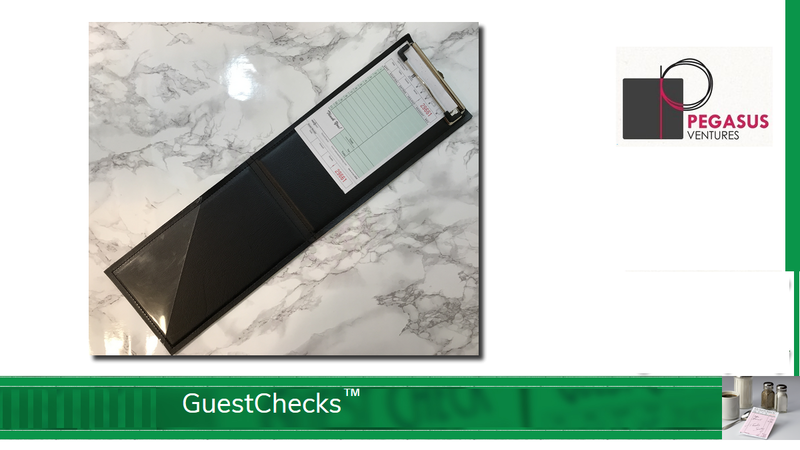 The AL-50 fits great! 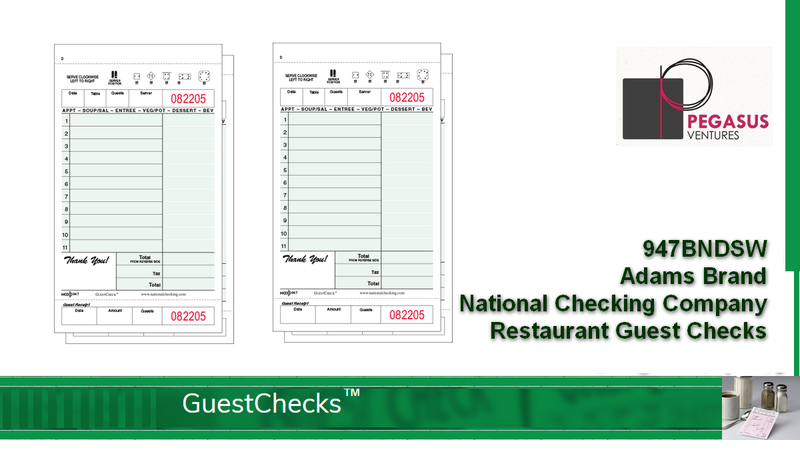 The 947BNDSW green Adams brand restaurant guest checks printed by National Checking Company are always in stock and ready to ship to your restaurant, catering business, institutional kitchen and, of course, your home.